the Government will impose binding arrangements either by an industry code prescribed by the Attorney-General under the Copyright Act 1968 or an industry standard prescribed by the ACMA, at the direction of the Minister for Communications under the Telecommunications Act. Third step: the Government will also amend the Copyright Act to enable rights holders to get injunctions ordering ISPs to block access to websites outside Australia that provide access to infringing content. Well, at least, Option 1 in the Issues Paper seems to have died a deserved death. The media release does not mention, however, whether or not the Government will extend the “safe harbour” provisions to “service providers” and not just “carriage service providers”. Any code must be sustainable and technology neutral. It should be educative and attempt to address the reasons that people are accessing unauthorised content. Consumer interests must be given genuine consideration in your negotiations. There is no more detail on what sanctions, if any, would apply. The issue of affordability and accessibility of legitimate content is a key factor in reducing online copyright infringement. The Government welcomes recent action by content owners and expects industry to continue to respond to this demand from consumers in the digital market. It will be interesting to see if the “industry leaders” can come up with an agreed code, given they have failed to reach agreement for over a decade now. Even if the Government is forced to impose a code, it may also be interesting see which ISPs join in the scheme. If there is an industry code and significant ISPs join in, would that be a basis for reconsidering the High Court’s ruling of non-authorisation in the iiNet case which was predicated, at least in part, on the ability of subscribers to jump ship from iiNet to another ISP if sanctions were imposed. That is a system whereby subscribers get some number of notices that their account is (allegedly) being used to infringe copyright and warning them to stop or …. All the media release says at this stage: ? The code will include a process to notify consumers when a copyright breach has occurred and provide information on how they can gain access to legitimate content. According to the letter the Government sent to “industry leaders”, the industry code must be agreed by 8 April 2015. (Update: you can now read the letter via this link (scroll down).At the moment, I don’t seem to be able to find a copy of the letter, which was attached to the media release, online.) ? The media release says that the effectiveness of these measures will be reviewed in 18 months as in “a world of rapid changes in technology and human behaviour, there is no single measure that can eliminate online copyright infringement.”. ? Yesterday’s press reports suggested that “harsh measures” like internet throttling would not be available. ? Last week, Besanko J dismissed Coca-Cola Co’s claims that PepsiCo’s “Carolina” bottle shape infringed Coke’s trade marks, and was passing off and misleading or deceptive conduct. Coca-Cola Co relied on four trade marks: TM Nos 63697, 767355, 1160893 and 1160894 registered in class 32 for non-alcoholic beverages. 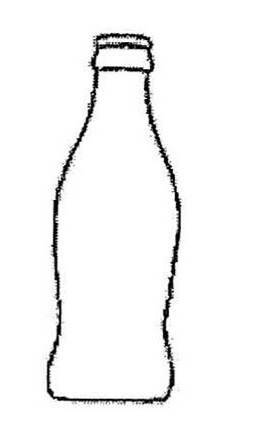 The first two might be thought of as 2D representations of the shape of Coca-Cola Co’s “Contour” bottle, which has been in use in Australia since 1938. The second two were essentially the silhouette of the bottle; one image in white, the other in black. 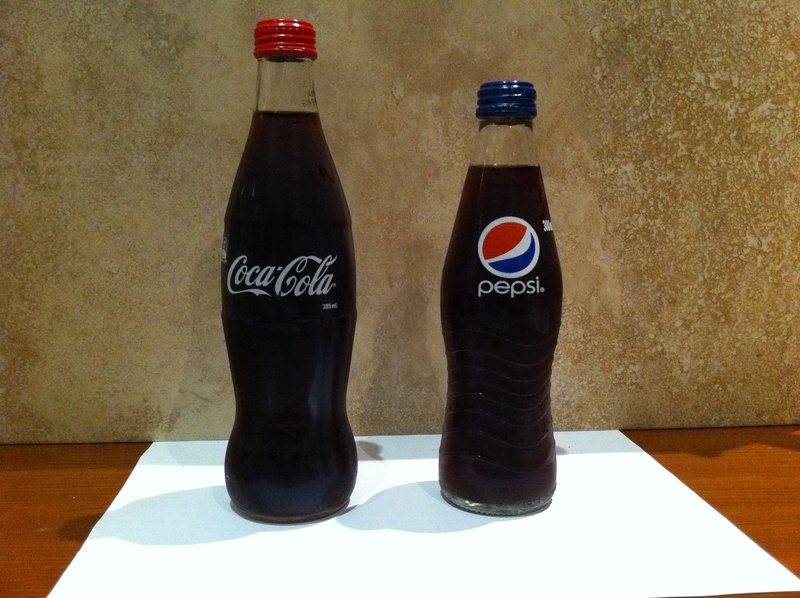 PepsiCo had introduced its Carolina bottle shape into Australia in August 2007 on a very small scale. It seems not to have been on the market at all between May 2008 and February 2009, when it was reintroduced on a larger, but still small scale. The Carolina bottle shape had apparently not been the subject of any advertising or promotion. At the time when PepsiCo introduced the Carolina bottle, there were 4, perhaps 6, other bottles used for soft drinks in the market with “waists of varying degrees” so the Contour bottle was not unique in that respect. Besanko J found that PepsiCo was using the Carolina bottle shape as a trade mark, but did not infringe because it was not deceptively similar to Coca-Cola Co’s trade marks. In deciding that PepsiCo was using the overall shape of the Carolina bottle as a trade mark, Besanko J noted that the relevant goods were the beveage, a formless substance, and the bottle was just a container. So, the cases like Philips v Remington where the shape was the shape of the goods themselves did not apply. At , his Honour found that the shape was distinctive and intended to be so. …. All bottles have an outline or silhouette and the fact that a bottle has a waist is not so extraordinary as to lead to the conclusion that that feature alone is being used as a trade mark. …. the outline or silhouette of the Carolina Bottle is likely to become less important in the consumer’s mind as he or she approaches the refrigerator or cooler and focuses on word marks, logos, and brands. As I have said, the fact that an aspect of a product may be seen at one point does not lead to the conclusion that consumers would see it as a badge of origin. the bottle has a flat base and banded neck. In contrast, PepsiCo’s Carolina bottle did not have flutes or the clear band; it had a horizontal “wave” feature and its waist was both more gradual and extended higher up the bottle. These differences at  were “significant”. I do not accept that that is the view which would be held by the ordinary consumer. In my opinion, the waist, the horizontal wave feature, and, to a lesser extent, the frustoconical neck are the significant features of the Carolina Bottle. …. It cannot be said, for example, that a bottle with a waist is so extraordinary, or a bottle with vertical flutes and a clear belt band so common, that the outline or silhouette should be considered the essential feature. (5) the Carolina Bottle has a distinctive horizontal embossed wave pattern across the bottom half of the bottle. I am not at all sure, with respect, that the question is whether the accused sign is distinctive in its own right. Perhaps this means that, in a market where there are other low waisted bottles, the differences were sufficiently important that consumers would not be caused to wonder whether there was a connection with the trade mark owner. On this part of the case, Besanko J thought it was difficult to see why the ordinary consumer would not make his or her purchase on the basis of the [famous] brand names, device marks or logos. However, “not without some hesitation”, his Honour was prepared to find at  that a sufficient number of consumers who select a bottle from the store’s refrigerated drinks cabinet themselves “may well make their selection based on overall bottle shape” as a result of their minimal involvement in the purchase. The difficulty for [Coca-Cola Co] is that, even accepting that and accepting that both bottles will contain dark brown cola and be sold within a similar, if not the same, context, I do not think that such a consumer would be misled or deceived, or would be likely to be misled or deceived, in the case of overall bottle shape because I think he or she would detect quite clearly the difference between the Contour Bottle and the Carolina Bottle. The most noticeable difference between the two bottles is that the Contour Bottle has the very distinctive fluting and the Carolina Bottle has the distinctive horizontal waves. Other noticeable features are the different shaped neck and shoulders and the fact that the waist on the Contour Bottle is lower and more pinched. In other words, if overall bottle shape is the cue, I do not think that there is any real likelihood of deception. 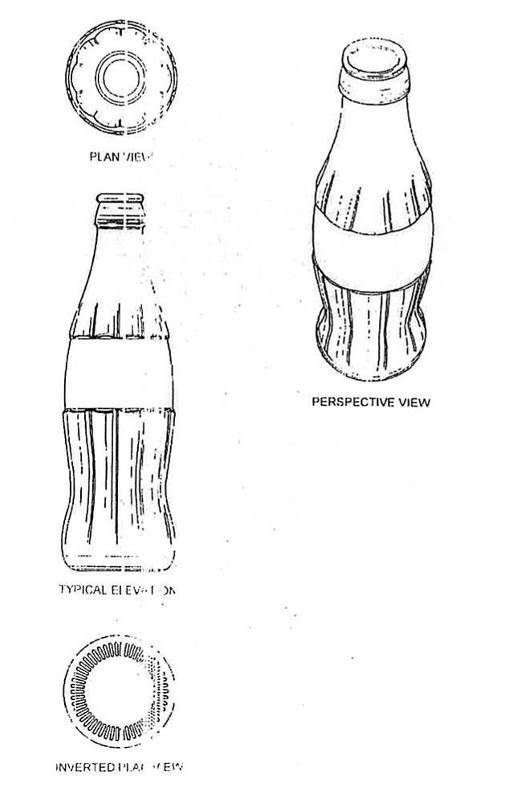 On all 3 aspects of the case, Coca-Cola Co contended that PepsiCo had intentionally designed the Carolina bottle to take advantage of the reputation in the Contour bottle. While Besanko J noted there were features of the relevant PepsiCo executive’s evidence “which caused me to scrutinise it carefully”, his Honour was not prepared to find an intention to deceive or cause confusion. In any event, Besanko J did not think the resemblance of the Carolina bottle to the Contour shape was sufficiently close for PepsiCo’s intentions to lead to findings of infringement, passing off or misleading or deceptive conduct. The Advisory Council on Intellectual Property (ACIP) has released an options paper for arising from its Review of the (Registered) Designs System. The Options Paper identifies 3 potential routes for further development of designs law in Australia. addressing anomalies that have arisen in the copyright-design overlap, especially in relation to 2D and 3D ‘embodiments’. a wholesale revision of the role of the designs system in Australia’s IP law, including consideration, in particular, of the need for unregistered design protection, and the scope of design protection (including the scope of secondary liability) in the context of technological developments such as 3D scanning and printing. This would also involve consideration of whether protection should be extended to partial designs and whether virtual or non-physical designs (such as screen displays and icons) should themselves be treated as products. ACIP appears to consider Option 3 would be appropriate if the policies reflected in the 2003 Act no longer make sense or have been superseded. Examples where this might be the case include unregistered design right, full copyright proection regardless of industrial application or broader rights such as allowing registration for parts of products, such as handles, rather than for products as a whole. The impending availability of 3D-printing, or at least its more widespread take up, is raised as a potential basis for pursuing option 2 or option 3. ACIP does not presently have evidence sufficient to suggest that wholesale change would be in the national interest. ACIP envisages that Option 3 would involve consideration, not only of the designs system per se, but how it interacts with other systems: most obviously the copyright system, but also standard and innovation patents and other systems such as protection for confidential information. Ideally, such a review would also involve gathering more detailed evidence on Australia’s industrial and economic strengths, and developing strategies for industry development in the field of design, as well as more information on the operation of systems, such as those in operation in some European countries, which do not exclude industrial design from the copyright system. Such a review ought to be undertaken by specialist intellectual property economic, business and legal analysts. In formulating these proposals, ACIP has taken into account responses to a survey it conducted as well as submissions. ACIP would like to receive your submissions on these submissions on their return from the Christmas/Summer holidays: i.e. 23 January 2015. In what might (with respect) be seen as a surprising decision, the High Court, by majority, has allowed Cantarella’s appeal and restored its trade mark registrations for ORO and CINQUE STELLE in respect of coffee to the Register of Trade Marks. Gageler J dissented and would have dismissed the appeal. Cantarella registered ORO and CINQUE STELLE as trade marks for coffeee in Australia in, respectively, 2000 and 2001. Cantarella had first started using ORO to designate one of its lines of VITTORIA coffee in 1996 and CINQUE STELLE in 2000. Caffe Molinari has been selling its Caffe Molinari Oro blend of coffee in Italy since 1965 and its Caffe Molinari Cinque Stelle blend since 1997. 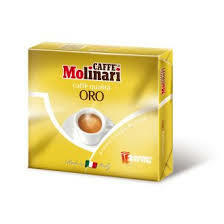 Its Caffe Molinari Oro products had been imported into Australia since 1996 and the Caffe Molinari Cinque Stelle products after their introduction. Mr Pagent, one of the principals of Modena, had been selling VITTORIA products, including ORO and CINQUE STELLE in one of his previous businessnes since the mid–1990s. After he sold those businesses, through Modena he began importing and selling Caffe Molinari’s products in the UK and then, from 2009, in Australia. By the time the litigation started, there were literally “dozens” of “ORO” coffee brands in the market. In the High Court, the question was whether ORO and CINQUE STELLE iwere “capable of distinguishing” Cantarella’s coffee products under s 41. That in turn turned on whether each was “inherently adapated to distinguish [coffee] … from the [coffee products] … of other persons”. by reference to the likelihood that other persons, trading in goods of the relevant kind and being actuated only by proper motives – in the exercise, that is to say, of the common right of the public to make honest use of words forming part of the common heritage, for the sake of the signification which they ordinarily possess – will think of the word and want to use it in connexion with similar goods in any manner which would infringe a registered trade mark granted in respect of it. The principles settled by this Court (and the United Kingdom authorities found in this Court to be persuasive) require that a foreign word be examined from the point of view of the possible impairment of the rights of honest traders and from the point of view of the public. It is the “ordinary signification” of the word, in Australia, to persons who will purchase, consume or trade in the goods which permits a conclusion to be drawn as to whether the word contains a “direct reference” to the relevant goods (prima facie not registrable) or makes a “covert and skilful allusion” to the relevant goods (prima facie registrable). When the “other traders” test from Du Cros is applied to a word (other than a geographical name or a surname), the test refers to the legitimate desire of other traders to use a word which is directly descriptive in respect of the same or similar goods. The test does not encompass the desire of other traders to use words which in relation to the goods are allusive or metaphorical. In relation to a word mark, English or foreign, “inherent adaption to distinguish” requires examination of the word itself, in the context of its proposed application to particular goods in Australia. In the case of foreign words, as here, their meaning translated into English was relevant, but not necessarily critical. What was critical was the meaning conveyed by the foreign term, if any, to those “who will be concerned with the relevant goods”. That is, what is the ordinary meaning, if anything, of that foreign word or expression to those in Australia who will purchase, consume or trade in the relevant products? only a “very small minority” of English speakers in Australia would understand the meaning of the words, and that the Italian language is not “so widely spread” that the words would be generally understood as meaning “gold” and “five stars” respectively. Like “TUB HAPPY” in respect of cotton goods, “ORO” and “CINQUE STELLE” were not shown to convey a meaning or idea sufficiently tangible to anyone in Australia concerned with coffee goods as to be words having a direct reference to the character or quality of the goods. on the extent to which the monopoly granted on registration of a trade mark would foreclose options otherwise available to rival traders acting in the ordinary course of their businesses without any desire to benefit from the applicant’s reputation. For example, his Honour pointed out that in Clark Equipment itself, which conerned the trade mark MICHIGAN, there was no evidence that any other trader manufactured the farm machinery in question in Michigan. Indeed, as the trade mark was registered in the USA, no-one probably could. Given the trial judge’s finding of fact, one could argue that this case is just a decision on its facts. That overlooks the important difference in principle on how one tests inherent adaptation to distinguish between the majority and Gageler J. It is also hard to resist an impression that Gageler J’s approach adopted a broader or more “multicultural” perspective. One consequence of the decision is that Caffe Molinari’s products, which had been imported into Australia since 1996 / 1997 have been found to infringe so many years after the event even though Cantarella’s trade marks were registered after the infringing conduct commenced. Of course, as s 124 and s 44 illustrate, an assiduous infringer cannot gazump a trade mark owner. Another “oddity”: Cantarella accepted that it could not stop Modena using QUALITA ORO, presumably because it is descriptive? Further, by 2011, the evidence showed dozens of other traders in Australia using Oro or D’oro to identify their coffee products. These included Lavazza Qualità Oro, Caffè Incas Oro, Coffee Mio Brazil Oro …. A number of these uses appear to have predated Cantarella’s registrations. There were also one or two Five Stars or 5 Stelle and, of course, hundreds of businesses have Five Star in their names. One might hope that, being “distinguishable aurally, visually and semantically”, these other traders’ uses would not infringe Cantarella’s trade marks. But, putting Woolworths Metro to one side, one does not usually avoid infringement by making it clear from the surrounding circumstances that the trade source is different from, (i.e., not) the trade mark owner. Correspondingly, would someone who uses “5 star” to designate its premium coffee infringe? French CJ, Hayne, Crennan and Kiefel JJ. ? Cantarella Bros Pty Limited v Modena Trading Pty Limited  FCA 8. ? Modena Trading Pty Ltd v Cantarella Bros Pty Ltd  FCAFC 110. ? As the trial judge, Emmett J discussed at  – , the packaging of the Molinari products made extensive use of ORO or CINQUE STELLE alone in many other respects. ? This was s 41 in the form as originally enacted not in its current form following the commencement of the “Raising the Bar” amendments. ? This figure was apparently taken from the 2001 Census. As Gageler J pointed out in dissent , even this figure made Italian the second most spoken language in Australia. ? French CJ, Hayne, Crennan and Kiefel JJ at . ? The evidence is not entirely clear about the extent, if any, to which Modena’s use was different to what Caffe Molinari originally did. Gageler J and, according to his Honour, the Full Federal Court were prepared to infer it was not relevantly different. ? Per Gageler J at . ? Saville Perfumery Ltd v June Perfect Ltd (1939) 1B IPR 440; 58 RPC 147. ?